If you think teen boys do not have much interest for wallet as it is nothing more than a cash and coins holder, then you might be wrong. This little item turns out to be an inseparable tool which boys carry around every day and everywhere. A good wallet is not only something to accommodate your essentials; but also a requisite accessory. Alongside with your cloth, wallets for teen boys make you either becomes a dignified gentlemen or a stylish cool young man. As mentioned above, a wallet plays an important part in showing boys’ style and elegance, as well as attracting people’s attention. 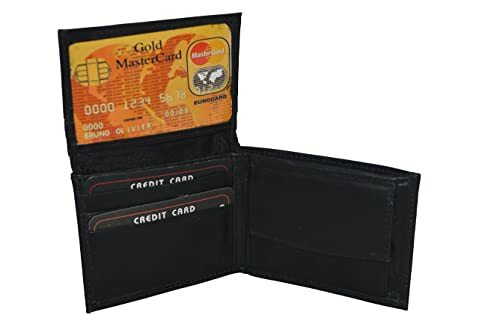 And thank for the exponential growth of male fashion industry, there is a numerous collection of wallets different in brands, materials, designs and durability out there for guys to choose. 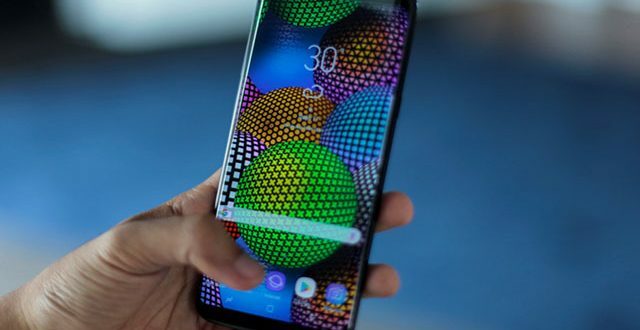 However, this also raises a question how to find the best wallet which both enhance your image and satisfy your demand among various ones? Let’s take a look through our collection of Best and cool Wallets for teen boys to find out the one that will be your smartest choice. There are boys who are willing to choose stunning art decorations, others prefer the simple pattern but deliver the uniqueness. 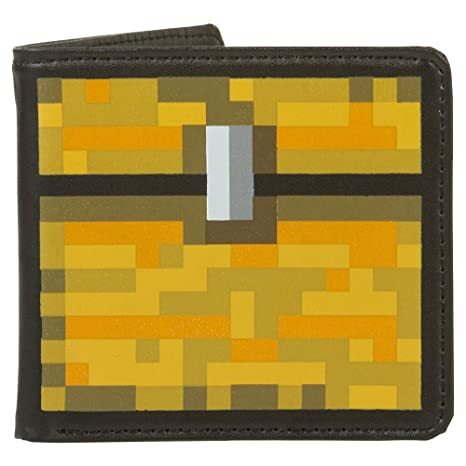 Minecraft Chest Leather Wallet is cool for the green lovers. Make of 100% genuine leather, this material covers the whole inner and outer performance. You will be amazed when hearing this one has the official license by Minecraft. In term of dimension, wallets for teen boys measure 3.75 inches x 4.25 inches; such convenient to put inside both the front – back pockets. Do not underestimate its space due to the average sizing. With one cash compartment, a transparent ID pocket and 5 card slots, just feel free to carry your essentials for a hang-out. Stitched seams utilize the green tone to emphasize solid construction. Based on comments, the product appears to have the strong smell of chemical after purchasing. Kindly leave it in a ventilated area to reduce the odors. For young teen boys, these wallets for teenage guys seem to be bigger for the actual item. 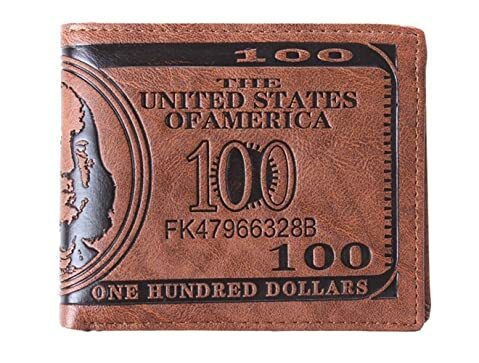 If you want to treat yourself to a fancy, grungy and cool military wallet without fears of low-quality or no reliable guarantee, this Lethnic Minimalist Wallet has the most attainable entry point. Look like canvas, but it’s not canvas at all! The wallet is made out of precious Italian genuine leather to escalate the durability and beauty. Besides, the combination to the camouflage pattern brings it a powerful and cool look. It’s like a relive of the grunge vibe from the 90s, surely emphasizing your daily outfits and molding up your style. A bonus: its nicely zigzag embossing delivers a whole new different look to the wallet, more powerful, more beautiful and more badass. That means just a little more effort for a lot of reward. Another reason helps this design get the cake in my collection is its reasonable capacity. Not too big to cramp your pockets, but not the way too small to fit nothing. It’s just enough to house a couple of regular cards, changes and IDs. Plus, a button strap to keep everything in place securely. Cool and protective, that’s all about this wallet. If you want to be outstanding, don’t hesitate to pick it up, bro! Among the wallets for teen boys, Mighty is one famous brand offers the long lasted and recycle products which are better than others. Dynomighty Men’s utilizes Tyvek (constructed by thousands of interlocking plastic fibers). Although it appears slim as the express mail envelopes, wallet delivers the incredible strength to prevent them from tear and water flashes. Besides, you can wash it gently by hand or use a damp cloth to remove dirt. 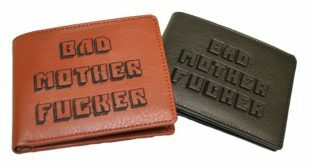 With the size measured roughly 3.9 x 3.4 x 0.2 inches, it contains a compartment for storing currency and important cards. Apart from the bi-fold design, the ingenious origami construction is the precise element that drives little boys crazy. In term of construction, stitch fewer design guarantees for slim performance and even offers space for adequate essentials. Through the time being, Tyvek component tends to soften and patina. Yet, wallets for teenage guys performance still grabs you attention. Since this is one best-seller product, order right after making your choice or things will go out of stock within a few days. Wanna try something new instead of leather or canvas wallet? Why don’t check out this The Slim Minimalist Tri-Fold Nylon Wallet by Urban Ultralight for offering the roomy space? In term of material, this wallet was made of ripstop nylon which highlights the long-lasted durability which still makes it look cool after a hard use. Wallets for teen boys measure roughly 7.5 x 3.6 x 0 inches. 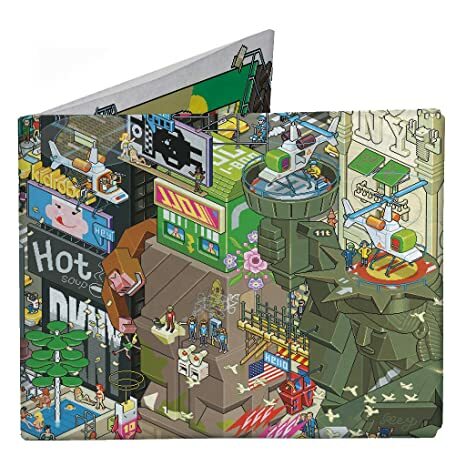 Take a look inside, it contains one full-length compartment for the bill and other cash and 3 slots for cards that can hold up to 12 cards. Although offer roomy space, this one is considered to be 75% smaller compared to others. In addition, you can wash it with the machine to get rid of the dirt. Most customers had reviewed that the wallet is too flimsy to make all your cards fall out easily. Yet, you need to keep things carefully as it can fall all over the place. Stay on top as the famous brand in the market, Nike both offers shoes, and focuses on the wallet for men and women. 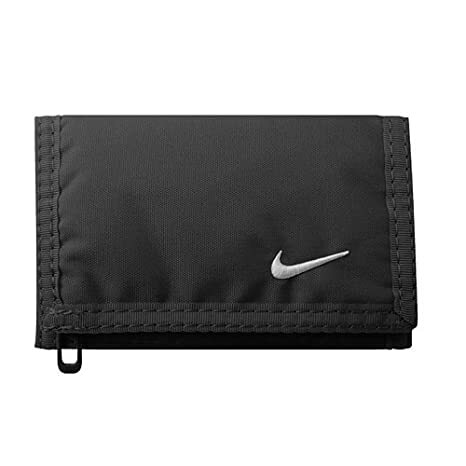 With this Nike Basic Wallet, the combination of polyester and nylon is ideal to withstand the light rain or unexpected water flashes. Deliver the uniqueness, Nike embraces the stylish plain black design goes along with a small Nike swoosh stitched on the exterior surface. Wondering about the size? Wallets for teen boys measure 9 cm x 13 cm (H x W). Take a look inside, you will find one huge compartment, zippered pocket for storing your coins, and 6 slots for credit cards and coupons. Forget other designs which always make you worry about the loss of cards. This one attaches to one Velcro strap closure to offer high protection. If you are seeking for one simple wallet to carry the basic essentials, this one is a good option. Consider one more time if you belong to the group of heavy travelers. Wallet receives lots of compliments for the material. The Dakine Men’s Vert Rail Wallet has its performance as the same as the previous one. Since this is one imported product, wallet ensures the durability and craftsmanship that meet the high-quality standard. Take advantage of 100% polyester, wallet mostly protects your essentials from outer impacts such as water flashes, bent or accidental drop out. In term of dimension, its product dimension measures roughly 4.7 x 3.5 x 0.8 inches. You can carry on hands or put inside both pockets conveniently. When opening, there is one large pocket for bill and currency, an ID slot with see-thru shields and 6 card slots. If you have the habit of using a coin, kindly store them inside the zippered pocket. 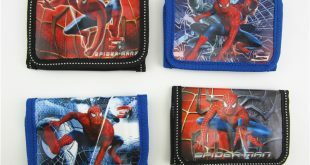 Wallets for teen boys attach the Velcro closure to enhance protection. For some audience, some credit card pockets seem to be a bigger than they expected. 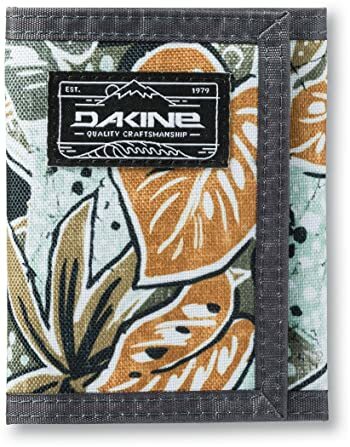 Dakine wallets for teen boys are available in several stunning colors. Click “Add to Cart” now if you’re interested or things will run out of stock in couples of day. Do you love vintage accessory that features the unique patterns? Wallet Leather Credit Card Photo Holder Bifold Billfold is there to fulfill the needs. Made of premium PU leather, this wallet is sturdy enough to offer long-durability and great performance for the exterior design. Also, this type of material allows individuals to wipe the dirt on its surface using one piece of soft cloth. With the size measured roughly 4.4 x 3.34 x 0.59 inches, it contains one huge compartment for cash and important bills, 7 slots for your credit cards and one ID window for convenient checking when going out. To ensure the sturdy performance, you can see stitched seams are crafted skillfully with dark tones to emphasize the stunning patterns. Yet, the real size seems to be bigger compared to the mentioned dimension according to comments of customers. The HENGSONG wallets for teenage guys are great items you can pick as a gift for your loved one. If you are in love with the steel color and minimalist design, then it would be a pity if you miss this Ikepod Hide & Carry Wallet. Feature a combination of 100% Full-grain Italian and Eco-friendly vegetable turned, those cool boy wallets deliver durability and elegant performance. You can use this on several occasions as parties, daily school days. With the dimension measured roughly 4.3 x 3.5 x 3.5 inches, it contains one huge compartment, 7 slots for credit cards or Micro SD. Offer the modern and minimalist design, its design features the slim and masculine performance of bright steel. To help individuals get rid of being robbed by pickpockets, wallet takes advantage of RFID blocking system to prevent the loss of information. Understand that customers may feel disappointed with the product, Ikepod offers 2 years warranty for you to return within this period of time. According to customers, the color of the wallet is easy to fade away if you are not careful. 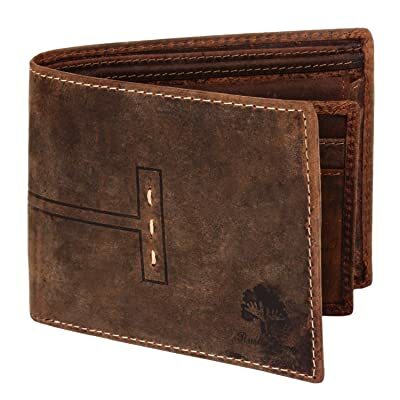 In most brands, Rustic Town is famous for offering wallet that reflects the exotic beauty and vintage style. Handmade RFID Blocking Genuine Leather Bifold is made in India. It features mostly excellent elements to meet the strict standard of quality. With a combination of “gorgeous brown” and contrasting stitches, it delivers the vintage look and strong capacity. In term of dimension, product measures roughly 4.7 x 0.8 x 3.5 inches. Take a look inside, you will find 2 compartments for note, 2 additional for currency, an ID window and 5 card slots. If you have the habit of using coins, kindly store them inside the zipper pocket. To solve the high rise of electrical thieves, wallets for teen boys leverage its performance thanks to RFID blocking system. It will store valuable information from unauthorized scans. Are you seeking for one gift for your loved ones? These wallets for teens have their package presents as an elegant gift-box set. Rustic Town guarantees for refunds or replacement if there is any dissatisfaction happens after purchasing. Wallets for teen boys focus on the simple and minimalist construction; as its audience somehow still not require the complex design. This Boys Slim Compact Flap Id makes of high quality leather. Using high-quality component, wallet offers the long-lasted lifespan as well as strong performance. All the edges and corners are covered by solid stitched seams. Wondering about the size? The wallets for teen boys measure 3 ¾ x 3 inches in closed form. The inner construction contains one compartment, 2 card slots, and an ID window. There is one additional pocket for putting coins and tiny keys. Instead of calling it as one ID window, you can see it as one pull flap for convenient checking at the station. You can choose it as one special gift on children birthday, parties. We sure it will hook their interest thanks to the variety of colors. Yet, most customers do not satisfy as the material quality is not good as they expected. As you can see MEKU Men’s Boy’s RFID Blocking Slim Canvas does not appear to have tons of comments as others. Yet, all feedback is positive compliments. If you have got bored with the casual leather wallet, refresh your style with the canvas wallet combines to interior leather. Wallet takes advantage of durable and excellent stitching that will last for the year. Wallet measures 4.4 x 3.6 x 0.5 inches in the closed form. In term of construction, the inner design features 2 bill compartments, 2 inner pockets, and 5 card slots. You will also find one additional zipper pocket for coins, paperclip or small keys. 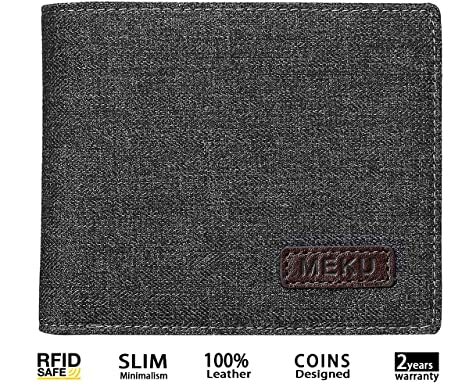 While your old wallet still gets you worry about the loss of information, the MEKU item features RFID blocking system. According to most customers, the actual product appears to be bigger than in an advertisement. Please remember you can just wipe out the dirt using dry clean cloth. Let’s enter Marvel world, the best place to connect with greatest super-heroes: Iron Man, Thor, Captain America, the X-Men. 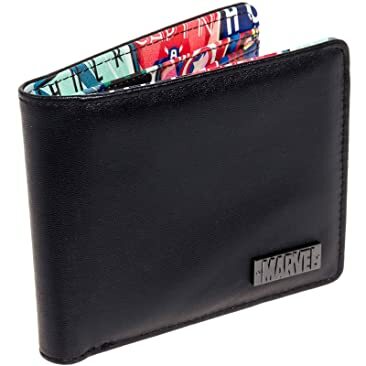 We sure you don’t want your collection to miss this; the Marvel Comics Men’s Retro Interior Print Bifold Wallet. 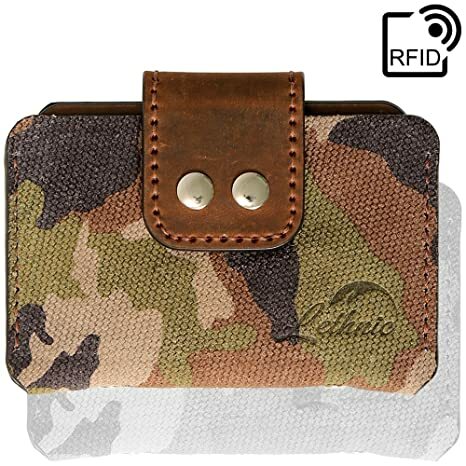 Make of synthetic, wallet ensures to last long and protects your essentials from outer impacts. 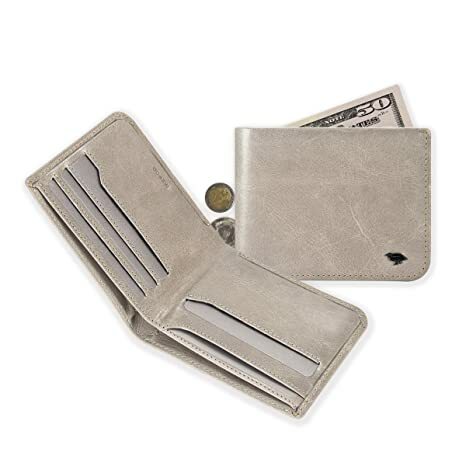 Feature the bi-fold design, Marvel wallet delivers the durable and sleek construction. Wondering about the size? Wallets for teen boys measure roughly 4.5″ x 3.75″ x 0.5″ in the closed form. Take a look inside, there is a double compartment for currency, 2 utility pockets and 2 slots for card. You will find one additional zipper pouch for carrying coins. Instead of choosing the plain design wallet, refresh yourself with the Art deco style print for the poster. Luckily, this one receives most compliments for the design, the vibrant style print. So it would be great when selecting this as one gift for your friends. There are boys who are willing to choose stunning art decorations, others prefer the simple pattern but deliver the uniqueness. 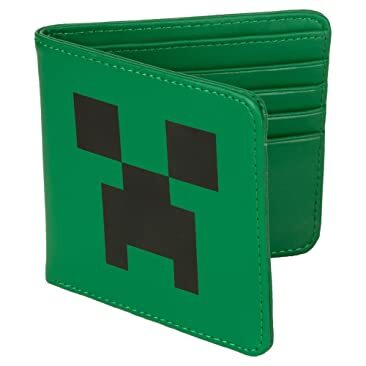 Minecraft Creeper Face Leather Wallet is cool for the green lovers. Make of 100% genuine leather, this material covers the whole inner and outer performance. You will be amazed when hearing this one has the official license by Minecraft. Based on comments, product appears to have strong smell of chemical after purchasing. Kindly leave it in a ventilated area to reduce the odors. Material features thick design to protect essentials from outer impacts. 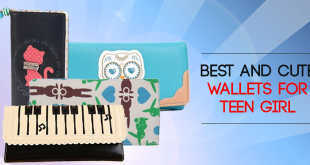 Above is our amazing collection of Best and cool wallets for teen boys. Wallets are tools where you keep your important things. However, they can also be fashionable accessories to brighten your appearance when attending a short hang out with friends or your loved ones. Therefore, it makes sense to take effort in finding the one that is simple, convenient and stylish at the same time.